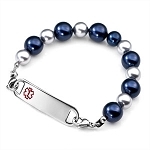 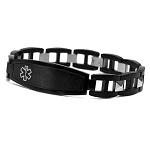 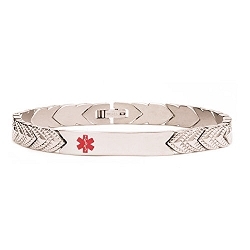 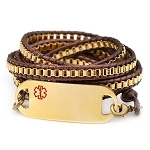 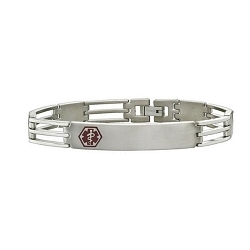 Stylish medical ID bracelets come in all shapes and sizes. 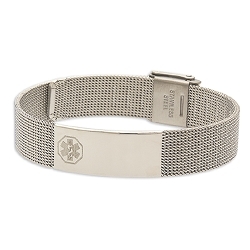 Silver, gold and stainless steel are classic looks. 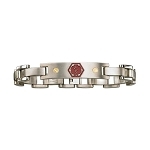 Diamonds add that extra attractive sparkle. 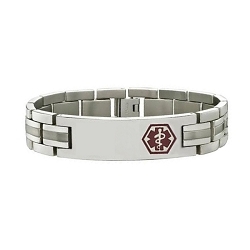 Many people find copper and magnetic bracelets to have healing properties. 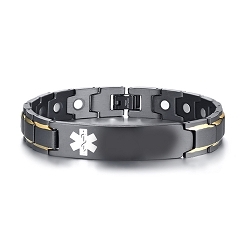 Titanium is becoming more and more popular. 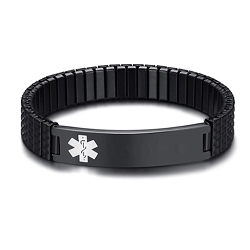 For something more causal, wear a latex-free silicone wristband bracelet!